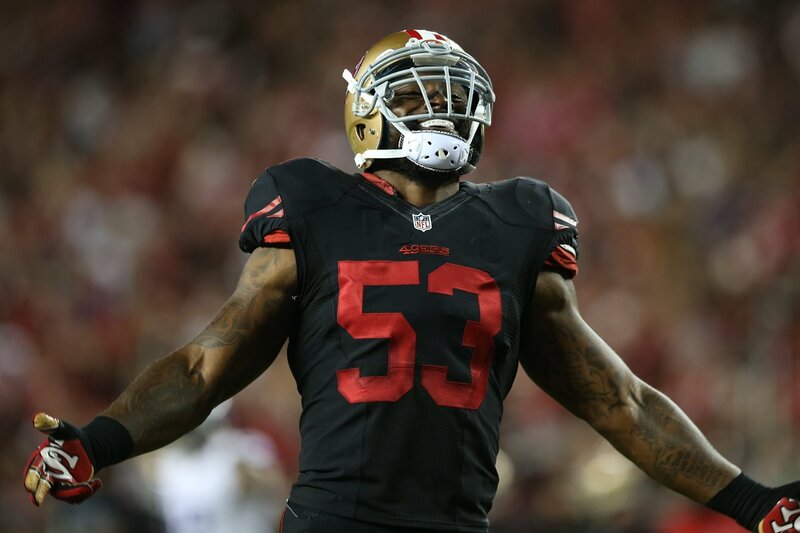 I remember writing up a recap of the 49ers drafting Penn State linebacker NaVorro Bowman. I was at my friend’s house and I had brought my laptop with me. At the time I was still getting my footing as a beat writer. But I felt that Bowman was a smart pick. Even though he was not a first round selection, he had a strong pedigree and had potential for growth. Since then, Bowman was a four-time First All-Pro, three-time Pro Bowl selection and at times, was the best defender on the team. And that’s with Patrick Willis next to him. Bowman was a great professional to work with and he always gave me respect. He was a beast of a linebacker and it’s a shame injuries prevented him from reaching his best potential. Regardless, he was beloved by many fans and they will always cherish his pick-six at The Stick. That’s an image that will last a lifetime.